My sister worked as a wilderness instructor at Voyageur Outward Bound School for ten years. She and my mom were also in northern Minnesota for a few days, so we took a visit for nostalgia and a little canoeing. 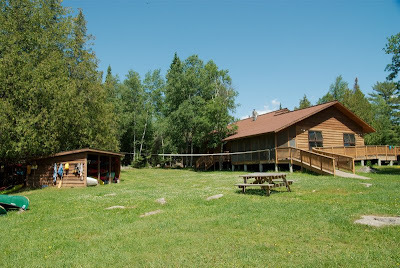 This is the Pieh Building (pronounced "pay") which is the main administrative and gathering building.